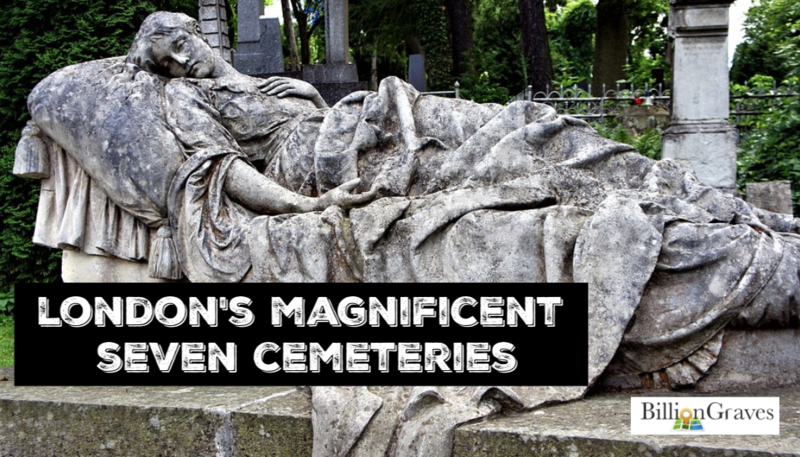 The “Magnificent Seven” is the nickname for seven huge cemeteries that surround the heart of London. Each is a unique masterpiece of park-like greenspace. For centuries it was believed that the place of burial impacted the opportunity for the deceased to achieve salvation. After funeral services were held in churches, the dead were conveniently buried right there beneath the floors and inside the walls. The most righteous, accomplished, well-known – or even the most wealthy – were buried closest to the altar. Those who were less acceptable in the eyes of God or man were buried in the churchyard. The churchyards were usually surrounded by low stone walls to keep out roaming cattle. Those who had been excommunicated, never baptized, or who had commit gross crimes were buried outside the churchyard walls. accomplishments are buried inside London’s Westminster Abbey. 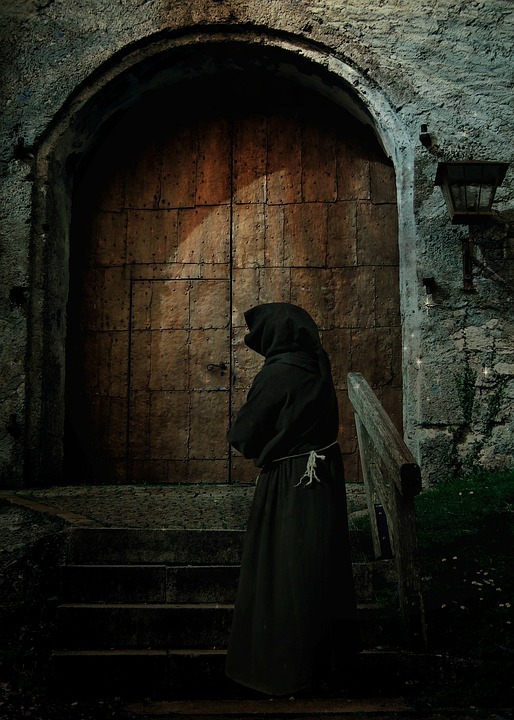 As you can imagine, the stench from rotting corpses within the churches was horrific. Hence, the term “stinking rich” arose from the practice of burying the affluent within places of worship. The gaseous odors were not only unpleasant, but the impact of the decaying bodies were unhealthy. Coffins for the privileged were hollowed out from a block of sedimentary rock with a hole drilled in the bottom for drainage. The coffin lids were also hewn from rock and they rested so near the surface that the lids became the church’s stone floors. 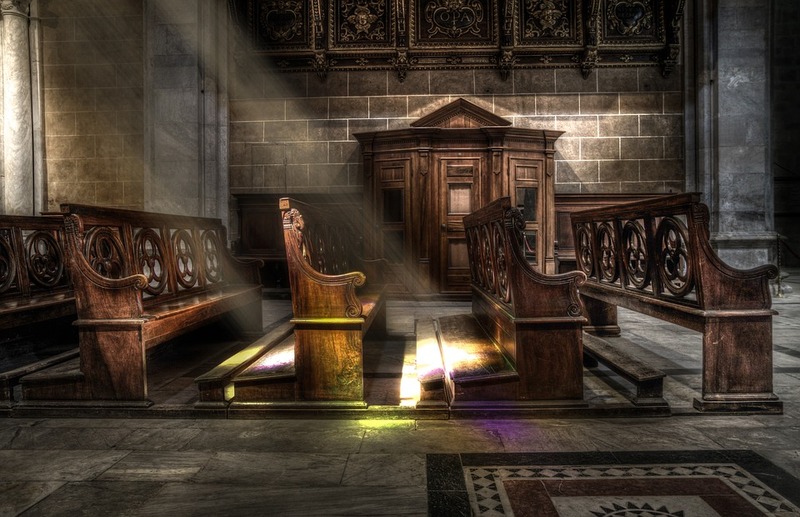 Likewise, churches with poorer parishioners had coffins with wooden lids, which doubled as the church’s wooden floors. 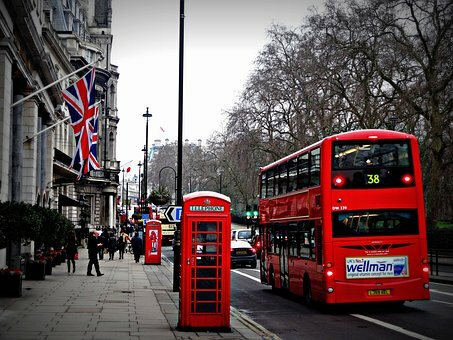 Between 1800 and 1850, London’s population swelled from 1 million to more than 2.3 million. Illness under these crowded conditions led to epidemics of typhus, influenza, scarlet fever, measles, diphtheria, cholera, and smallpox. In short order, the church’s floors and walls were filled with bodies. To create more space, side chapels with more burial cavities were added. Eventually, the side chapels were also filled to capacity so even the righteous and the wealthy had to be buried outdoors in the churchyards. Then as churchyards also became overcrowded, bodies were buried shoulder to shoulder or even stacked on top of one another. Coffins were often absent among the poor. 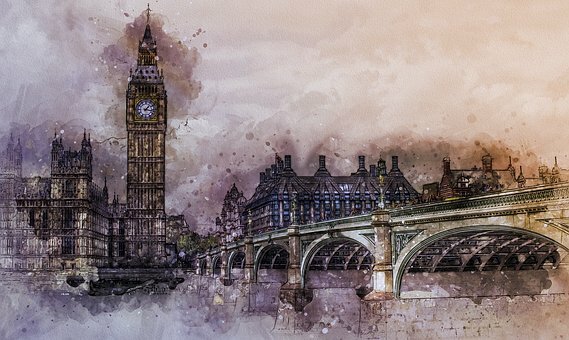 Decaying matter leached into London’s water supply, which worsened epidemic conditions. Things began to change when the British took notice of a beautiful cemetery that was built in Paris. It was called Cimetiere du Pere Lachaise and it sprung up as a result of a declaration made by Napoleon in 1804. Napoleon’s decree put an end to burials within churches, temples, synagogues – and their surrounding yards – within French cities in an attempt to improve public health. The Cemetery of Pere Lachaise was unique because its park-like atmosphere welcomed not only the dead but the living. Trees were planted for shade, trails encouraged strolling, and park benches were provided for rest. 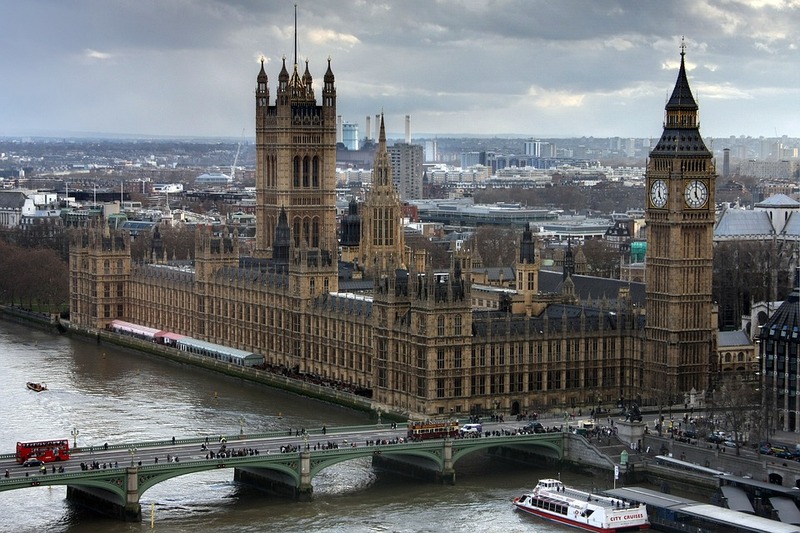 Likewise, in 1832 in an effort to improve hygiene, the British parliament passed a bill to allow private cemeteries to be built outside the city of London. It wasn’t until much later that the ring of cemeteries was dubbed “The Magnificent Seven.” Oddly, the name was after the title of a 1960’s western film. 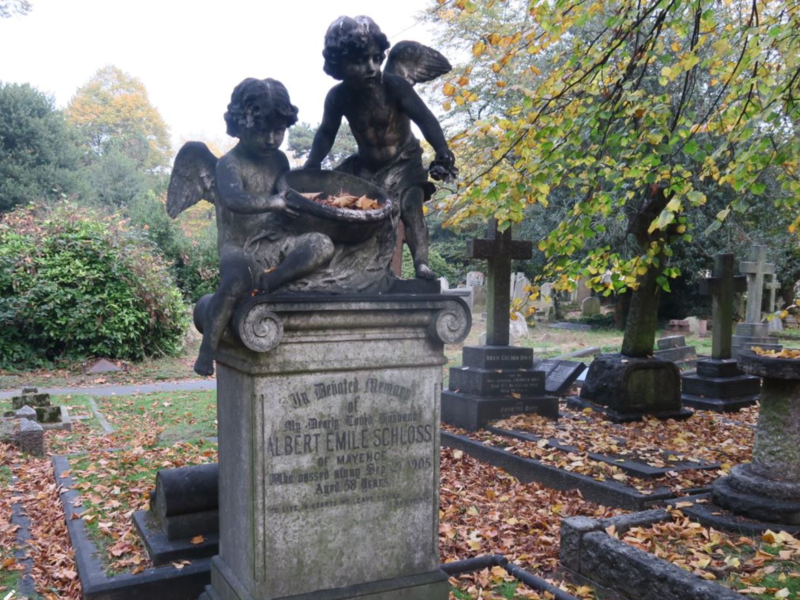 The oldest of the Magnificent Seven cemeteries is Kensal Green. Following a series of cholera epidemics in London in the early 1850’s the health commissioner, Edwin Chadwick, recommended that all burial grounds in the London area be closed except for the Kensal Green Cemetery. Gravesites were rapidly filled in this beautiful cemetery made up of 72 acres of land next to a canal. 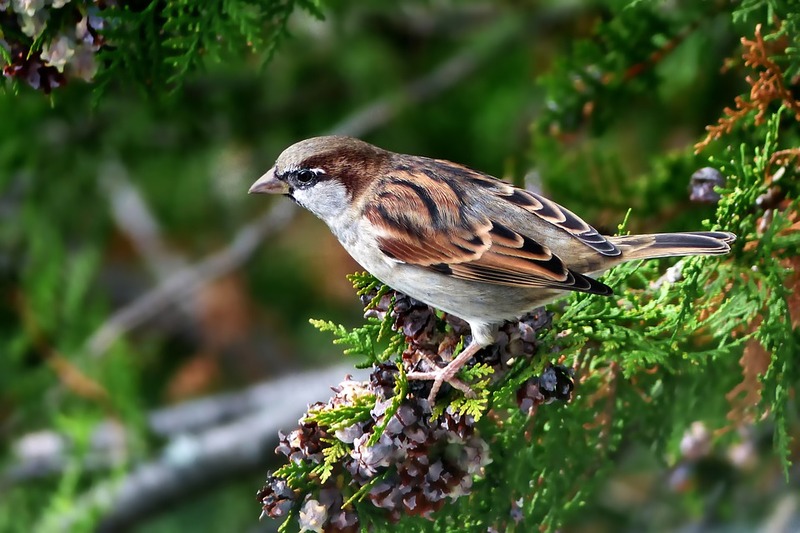 The lush greenery there has attracted a great variety of wildlife and is home to more than 33 species of birds. Bird-watchers are not the only nature enthusiasts to gather at Kensal Green. Due to the rare flora and fauna, there were two conservation areas designated at Kensal Green in 1984. Kensal Green Cemetery monuments range from huge mausoleums for the wealthy to smaller headstones for commoners. More than 500 British aristocrats are buried there, including Major-General Sir William Casement, a member of the Supreme Council of India. In 1844, Casement contracted cholera while in Kashipur so he made plans to return to London. In the meantime, he was warned by members of the Supreme Council to delay his departure due to uprisings in the Madras Army. Casement passed away the night before his scheduled trip home. Even so, his monument is one of the finest in Kensal Green Cemetery. Another notable buried at Kensal Green Cemetery is Charles Blondin, a master tightrope walker. In 1859, Blondin crossed 160 feet above the Niagara Falls on a tightrope. Subsequently, he challenged his skills by re-crossing the Niagara more than 300 times – on stilts, with a wheelbarrow, blindfolded, carrying a man on his back, and sitting down to fry an egg halfway across. At first glance, the West Norwood Cemetery is a magnificent walled 40-acre park with huge mausoleums and traditional lawn gravesites. As the world’s first cemetery to be designed in the Gothic Revival Style, the English Heritage has placed this cemetery on its National Register of Historic Parks and Gardens. Sonia Winifred, Lambeth Council Cabinet Member wrote, “It’s more than just a cemetery, it’s a place to learn, relax, contemplate life and get some peace and quiet in the middle of our great city.” In the cemetery, robins flit between branches, squirrels dash up tree trunks, and a fox races to hide beneath a bush. But beneath the ground, West Norwood takes on an entirely different atmosphere. By 1837, London’s parish churchyards were being cleared of excess human remains and moldering coffins that were fostering disease. 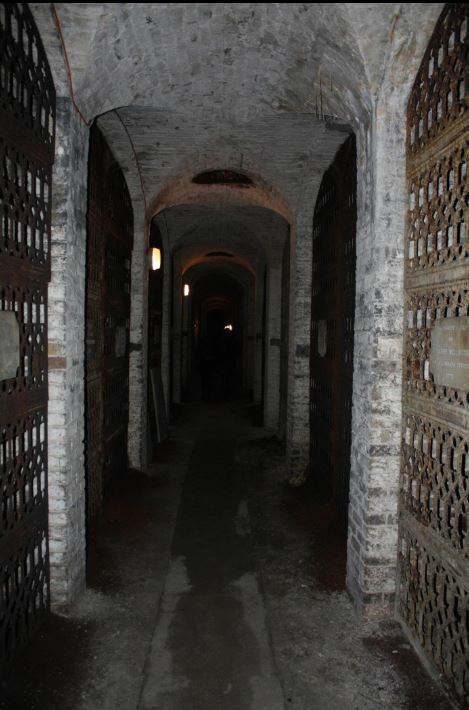 The solution was to create catacombs – an eerie maze of tunnels beneath the earth with the capacity for 3500 coffins to be stacked on shelves. Highgate Cemetery is also a nature reserve and is on the Register of Historic Parks and Gardens. Plants grew like crazy here thanks to birds and animals bearing seeds and London’s ample rain. Karl Marx (1818- 1883), German philosopher and socialist revolutionary. Marx’s political publications led to his exile from his country, so he and his wife and children came to live in London for decades. His communist leanings were so divisive that enemies sought to vandalize his tomb. Marx’s stone bust was bombed so that now it leans – ironically – slightly to the left. Michael Faraday (1791 -1867), British physicist and chemist, best known for his invention of the electric motor. Thomas Sayers, a successful bare knuckle boxer. Sayers was so well-liked by the London masses that his funeral was attended about 10,000 people (as opposed to the mere 11 that showed up for Karl Marx’s services). 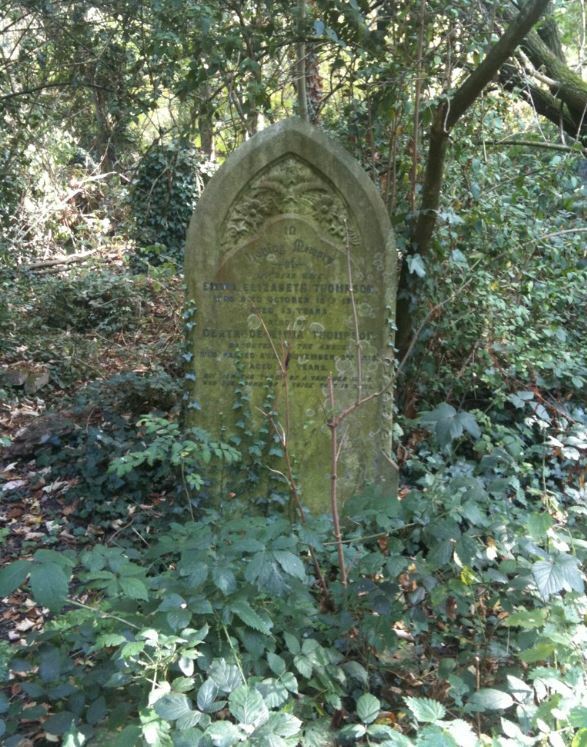 The Abney Park Cemetery is named after Sir Thomas Abney, who was the Lord Mayor of London from 1700 to 1701. 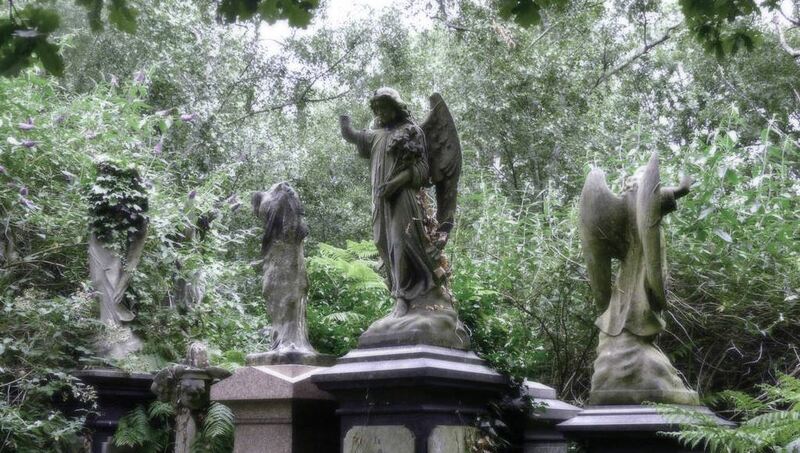 Abney Park Cemetery is aptly named with both the words “park” and “cemetery” in the title, since it serves as both. 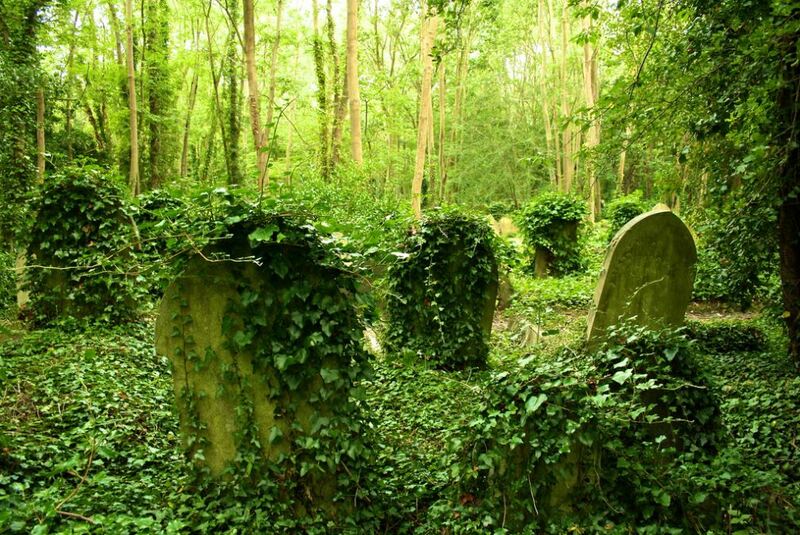 Abney Park Cemetery was the first cemetery in Europe to also be used as an arboretum. It was considered an educational attraction with its 2,500 trees and bushes each carefully labeled. The plants were arrayed around the perimeter of the cemetery alphabetically, from A for Acer (maple trees) to Z for Zanthoxylum (American toothache trees). Lion tamer Frank Bostock is buried here. Bostock started training lions when he was only 15. He survived being mauled by both a lion and a tiger, as well as having an ape bite off his finger. After all that, he died of the flu. 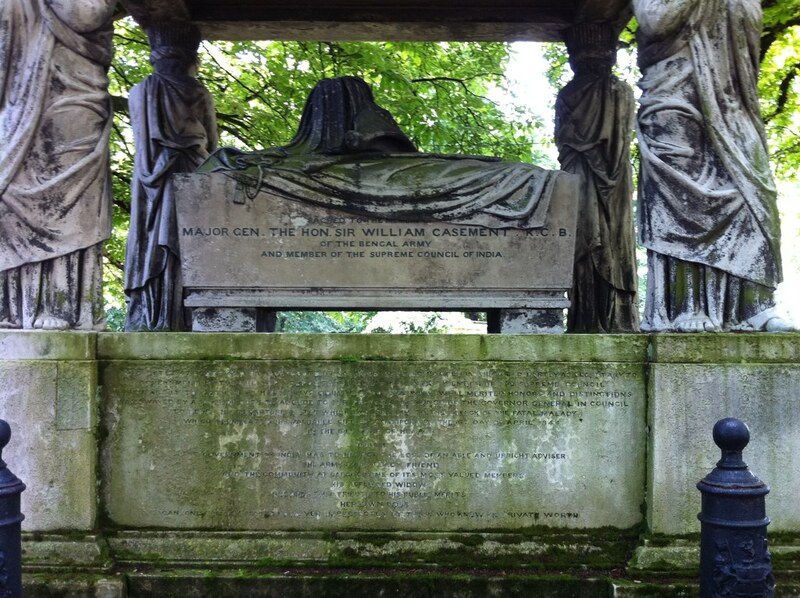 General William Booth and his wife, Catherine, are also buried at Abney Park Cemetery. They were the founders of the Salvation Army. 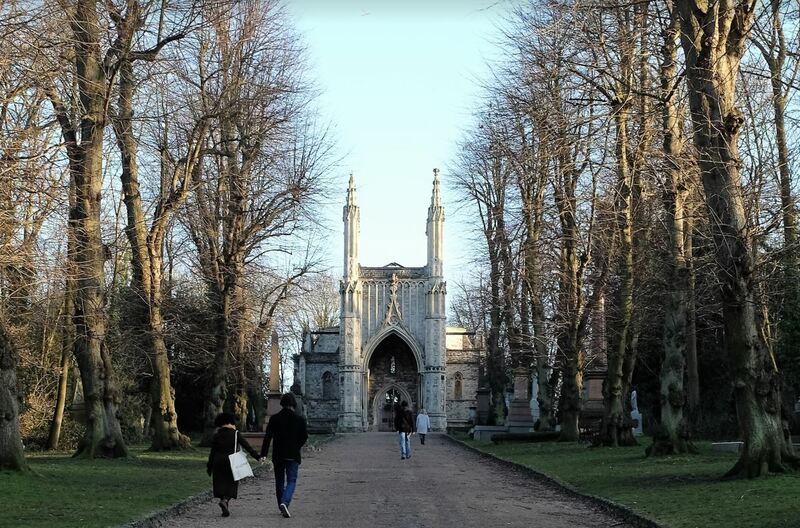 In spite of the beauty of Nunhead’s Cemetery Chapel and the lush green setting surrounding it, this cemetery has seen its share of hard times. For example, the iron rail fences that enclosed the cemetery were removed for use in the war effort during WWII. 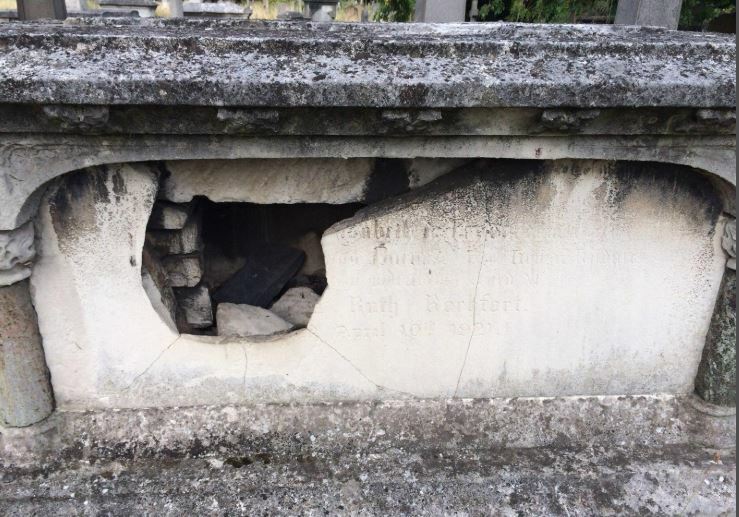 And the catacombs at Nunhead Cemetery have been raided for jewelry and metal from the lead-lined coffins. In addition, the cemetery had brushes with financial ruin. The original owner, The London Cemetery Company, went bankrupt so the cemetery was sold to The United Cemetery Company. Even under the new owners, profits dwindled so the gates were padlocked in 1969 and the cemetery was left to decay. At present, the Friends of Nunhead Cemetery organization are making attempts at restoration, though most of the cemetery is still unruly. After years of being unattended, many gravestones and paths are still covered in overgrowth. Like many of the Magnificent Seven Cemeteries, Brompton Cemetery fulfills more than one purpose. In addition to being the final resting place for London’s deceased, it is also a bee apiary. Bee hotels have been installed along cemetery paths, workshops for the public are held on beekeeping, and honey is available for sale. Tower Hamlets was not quite as prestigious a resting place as some of the other Magnificent Seven. This cemetery is mostly occupied by the local working class and sailors who were drowned at sea. Most of the people in both groups were buried in unmarked graves. The working class had no headstones because they could not afford them. And the victims of drownings were often unidentified bodies that had washed ashore at the nearby Docklands and they had no one to claim them. In 1871, there were 29 people buried at Tower Hamlets after the wooden pleasure boat Princess Alice and the iron ship Bywell Castle collided. 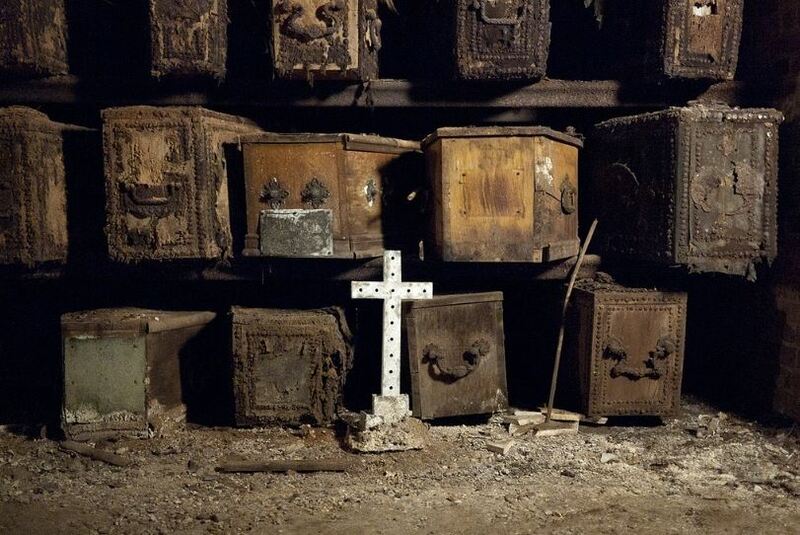 It wasn’t just in London or Paris that burial placement revealed a story about the deceased. All across Europe and in many British colonies the practice of burying people in particular locations based on their status was common. So if you have ancestors that were buried before the early 1800’s inside of a church, within a churchyard, or outside of churchyard walls your family tree now has another piece of the puzzle. Based on their placement in relation to the church altars you can ascertain whether your family members were likely “stinking rich” or cast off from society. 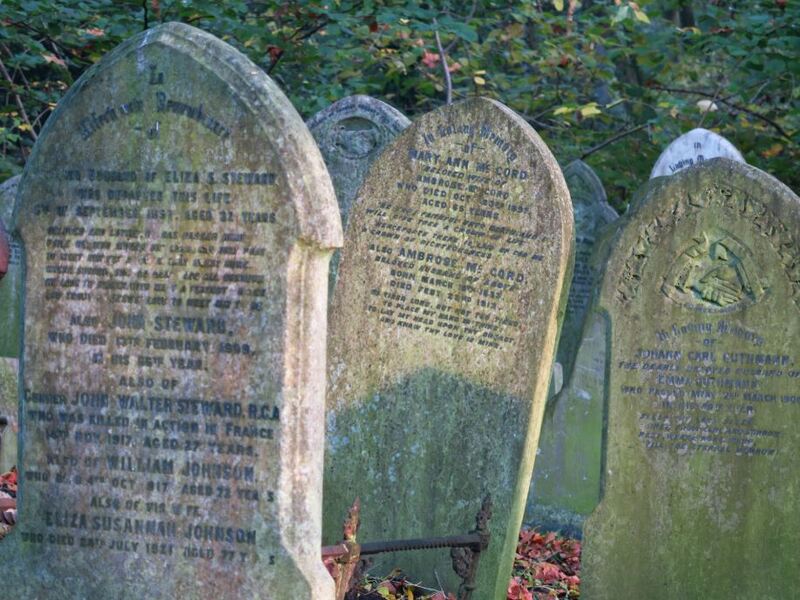 Or perhaps you have ancestors that were fortunate enough to be buried a bit later in a park-like cemetery like those of London’s Magnificent Seven. 5 Fun Fall Family Reunion Activities!